About Me: I'm a freelance photographer and designer. Most cards are created from original photo's, made anywhere in the world or in my own studio. A major part of my work is for sale on microstock sites. 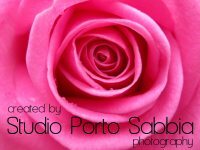 Studio Porto Sabbia is offering full collections of wedding cards: from invitations for bridesmaids, matrons of honor and other wedding attendants to a menu card or a ceremony program card, all in matching designs and offering new collections every month. Still cannot find what you're looking for? Almost all of the cards in this store can be personalized by choice, just contact us and your card will be created. Great designs and very fast when in comes to personalization of the cards! Beautiful and elegant cards, they've got style and class! Thank you for the nice comment on my pet sitter Birthday card. I love your photography and especially your new pet series for pet sitters, the boxer with the ball of course is my favorite.